6tag, a full featured Instagram app, now available for Windows Phone devices. 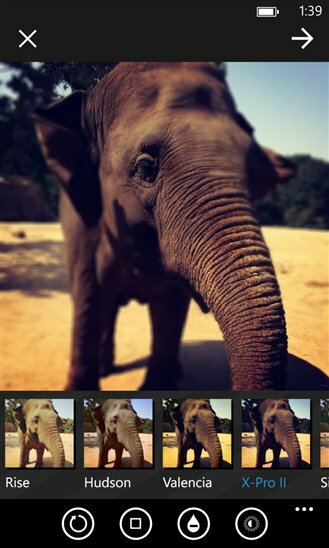 6tag was developed by Rudy Huyn, a Windows Phone addict and uses official Instagram filters, powered by Nokia Imaging. The free app available on the Windows Phone Store for Windows Phone 8 users. You can upload picture and videos, apply filters, tag your friends, view posts on a map, etc. Customize your photos with one of several gorgeous and custom built filter effects. Share your photos and videos in a simple photo stream with friends to see - and follow your friend's photos with the click of a single button. + 100% original filters: XPro-II, Earlybird, Rise, Amaro, Hudson, Lo-fi, Sutro, Toaster, Brannan, Inkwell, Walden, Hefe, Nashville, 1977, and others. + Linear and Radial Tilt-Shift blur effects for extra depth of field.